Budget, budget, budget…it’s the inevitable party pooper every wedding can expect. But don’t make a run for it just yet — there is hope! The trick to having the wedding of your dreams but still come out debt-free is to keep the three big budget-busters at bay: the guest list, the decor and the dress. First up is the dreaded guest list. If there is ever a point in the planning process when you will want to throw in the towel and elope, it’s figuring out the guest list. This is when an intimate gathering can turn into an out-of-control keg party if you don’t stand strong with the number of guests you want — and can afford — to have at your wedding. Your wedding guest list should fit the size of the venue, and your budget of course. Decide on your number before drawing up the list and stick to it as best you can. Even consider drawing up two lists. Once you start getting RSVPs back from people who can’t show, send invites to the people on your B-list. But make sure there’s only a week or two between the two sets of invites or the B-listers might get suspicious. A steadfast starting off point is this: you choose 25% of the guest list, your groom gets 25% and then another 25% goes to each of your families. Of course you can play around with those numbers, but it’s a good way to make sure everyone gets equal say to avoid any hard feelings. When you begin your search for your wedding decorations, favors, cake toppers, centerpieces, tablecloths, napkins, and so on…remember this: inexpensive does not have to mean cheap. 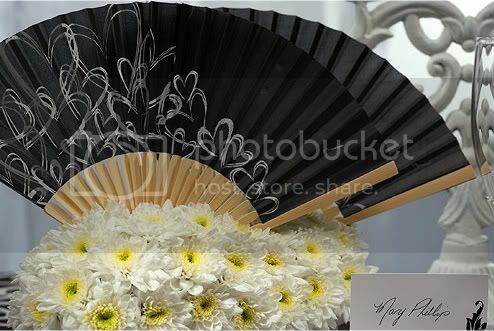 Stretch your dollar with Weddingstar’s multi-purpose Contemporary Hearts Fan. Fans make great wedding accessories because they double as decorations and guest favors, especially if you’re planning a summer wedding outside. These babies are so chic, and they come in seven colors to match any decor and theme. These fans are part of the Contemporary Hearts Stationary Collection, so get your matching save the dates, invites, RSVPs, table numbers, place cards, personalized tags and labels, and so much more in up to 16 different colors! Our Hang With Us Personalized Favor Card is an inexpensive environmentally friendly guest favor. Guests can detach and plant the two lovebirds made of real wild flower seeds. It’s the gift that keeps on giving! Find its matching accessories in the Love Bird Collection, stationary collection and printed napkins for an entirely cohesive look. Or maybe the A Sunny Beginning Favor Card (center) or “Love Grows” Picket Fence Favor (right) are more your style. 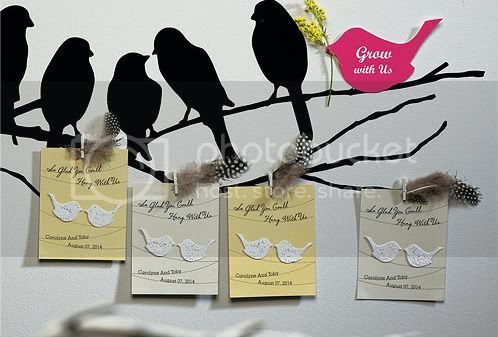 These adorable favors come with a detachable seed paper sun that your guests can plant in their garden or flower pots. From simple to extravagant, wedding dress styles and prices are all over the map. But don’t get sidetracked by the price tag. It’s not how much money you spend, it’s how you feel when you’re wearing it, no matter how cheap or expensive it is. 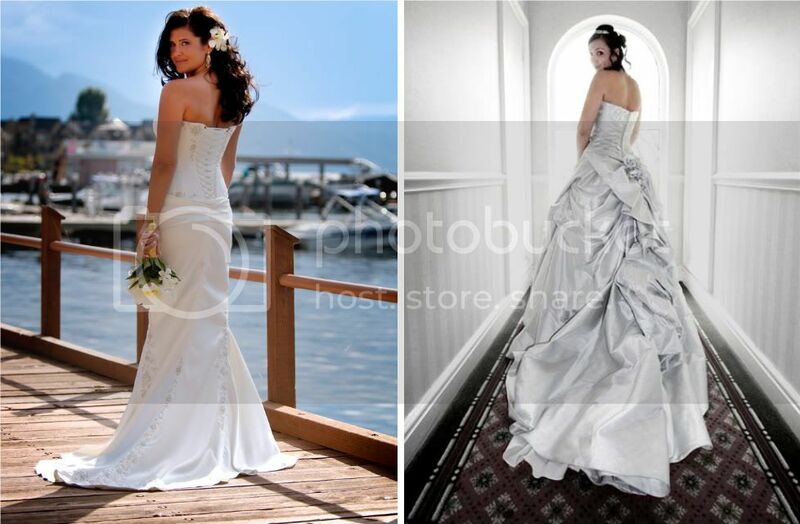 Depending on where you shop, wedding dress prices can vary dramatically. You can find a steal for $100 or you can spend $10,000 or even $20,000 if it’s in the budget. Typically, the price of a dress depends on the type of material it’s made from. But in many cases it’s fairly difficult to decipher any difference between them. Keep in mind though, that ballgowns or dresses with a lot of bead work or sequins will likely be more expensive. And as if paying for the dress wasn’t bad enough, now you have to factor in alterations and accessories. Ouch! Wearing a flower in your hair to match your bouquet is a pretty and inexpensive alternative to a veil, tiara or other headpiece. But if it’s bling you’re looking for, Weddingstar has a ton of Bridal Accessories for you to choose from. Some of our bridal accessories, like the White Satin Wrapped Headband (center), are simple, chic and totally affordable — this little cutie costs under $10! And the Scattered Pearl Border & Cut Edge Veil (right) is just one of Weddingstar’s many veils ranging in style and price. Sticking to your wedding budget is important and can be stressful at times. 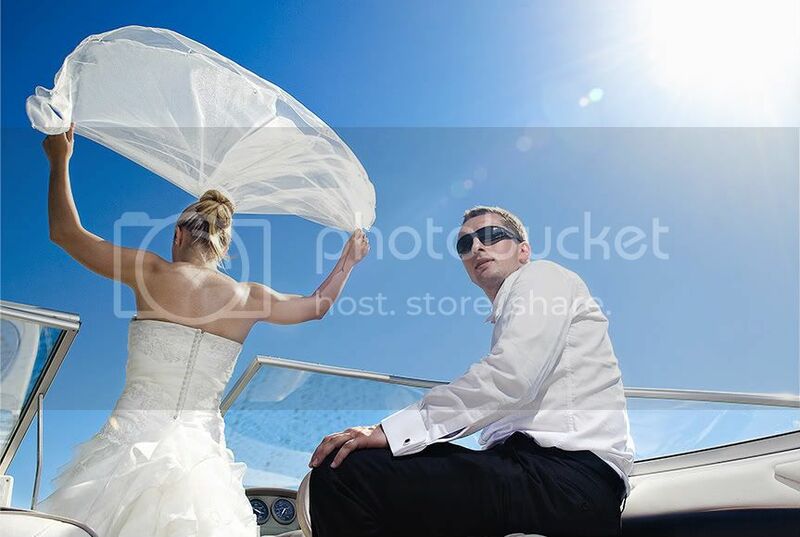 Keep in mind that your wedding is just one day out of your life, but it is your day. So yes, plan your dream wedding but stay reasonable at the same time. No wedding is worth a lifetime of debt. Photos included in this post courtesy of Jarek Wrzosek, Herry Lawford, Brian Tomlinson, Samuel Hearn and SimonShaw. Great article! Out of all the advice I was given for my wedding….. and there was a LOT (and I have some of my own) of it there were three items which stuck with me. 1)	Nothing is as big of a deal as it seems now. No one will remember what colour napkins you pick, or the cutlery pattern so don’t stress out about it. 2)	The only items that people remember about the wedding is. Length – keep it short (that goes for speeches as well). Food – Most important area not to cheap out on. Drink – Keep the bar open (but no shots)! Cover these and you will have a great wedding! 3)	It will not go off perfectly, but no one will notice. It is fine, relax and enjoy the day. All other advice is just details. Thanks, James, I’m glad you enjoyed it! That’s some great advice! It always helps to hear what people learned from planning their own weddings.